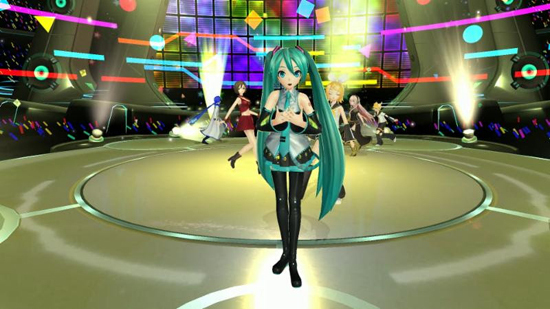 Hatsune Miku's virtual performance in Hatsune Miku: VR Future Live has its 3rd Stage - the third piece of content - and is now available for purchase, or download for Season Pass holders. Exclusive to PlayStation VR, Hatsune Miku: VR Future Live is a VR experience like no other, letting players fully explore the world of a live concert performed by the world's most famous digital singer! The 3rd Stage is available a la carte for $14.99 or as part of the Season Pass which includes all 21 songs from the three Stages. Hatsune Miku: VR Future Live is now available as a free download on PlayStation Network, but players will need to purchase Stages in order to play any content. All three stages can now be purchased à la carte for $14.99 or as a season pass bundle for $39.99 (you're saving money with the bundle, just saying) in the Americas. European prices will be commensurate. There's also a demo available for Hatsune Miku: VR Future Live, which contains a tutorial and one song (Weekender Girl by kz & Hachioji P) that will give you an exciting look at what it's like to watch the world's most popular digital diva perform in virtual reality.